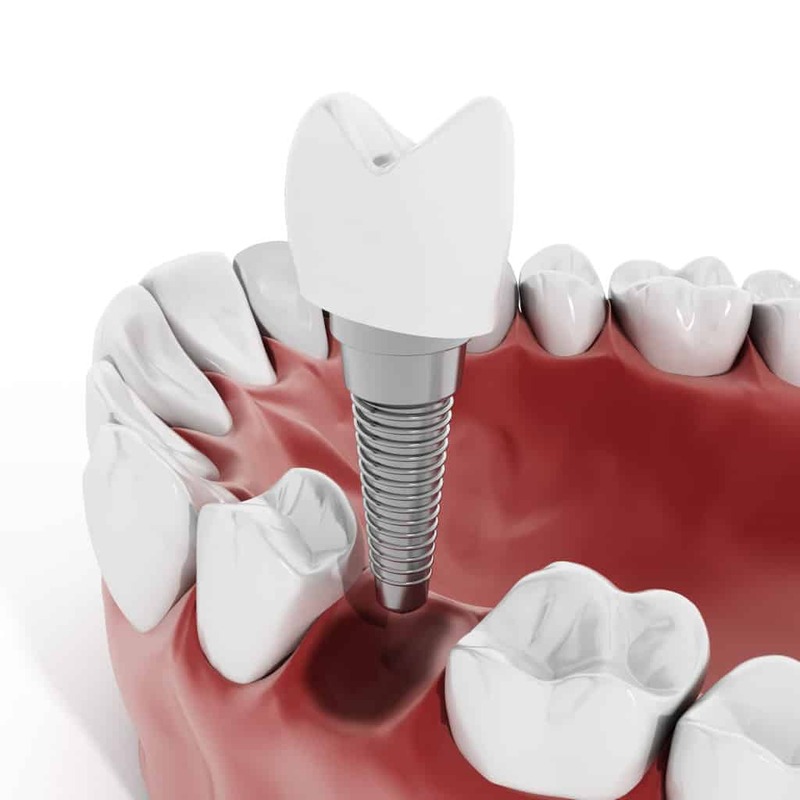 Because of their construction, dental implants are the only option that can recreate the dental root-and-crown structure offering the most lifelike replacement for your lost teeth. Improved stability – instead of relying on neighboring teeth or a plastic base for support, implants anchor your replacement teeth with implanted posts that offer lifelike stability. Improved comfort – the increased stability of implant-supported replacement teeth means that your bridge or denture will not become loose and shift around on your dental ridge. Improved confidence – with replacement teeth that look, feel, and function like healthy natural teeth, you can once again smile with the utmost confidence. Improved oral health – one of the more significant long-term benefits of dental implants is that they stimulate your jawbone whenever you bite and chew, which helps stem jawbone deterioration due to tooth loss. Before placing dental implants, your dentist will first carefully examine your teeth, dental ridges, and jawbone structure. If your jawbone has lost density, or if you exhibit tooth decay or gum disease, then you may not yet be a candidate for implant placement. Tooth decay and gum disease can be treated with appropriate family and restorative dental treatments. If your jawbone is weak, however, then you may need bone grafting – a minor oral surgical procedure that involves grafting donor bone tissue onto your jawbone to boost its strength and integrity. After your implants are placed in your jawbone, the jawbone will fuse to the implant posts as it heals, making them a permanent part of your oral anatomy. With the right care and attention, your implant posts can last a lifetime, even if your bridge or denture wears down and needs replacement.